Roku is building a pair of wireless speakers to go with smart TVs that use its Roku operating system. Somewhat surprisingly, the two-way speakers—one tweeter and one woofer in each cabinet, driven by Class D amplifiers—are discrete left and right units rather than a monolithic soundbar. Lloyd Klarke, Roku’s director of product management, explained why Roku is moving into the TV speaker market in a conversation last week: Flat-screen TVs are too thin to accommodate large speakers, the speakers are often mounted too close together, and the combination of pumped-up commercials and quiet passages in movie and TV show soundtracks have viewers constantly adjusting the volume. Klarke said the most common solutions—A/V receivers and a soundbar—are too expensive and too complicated. 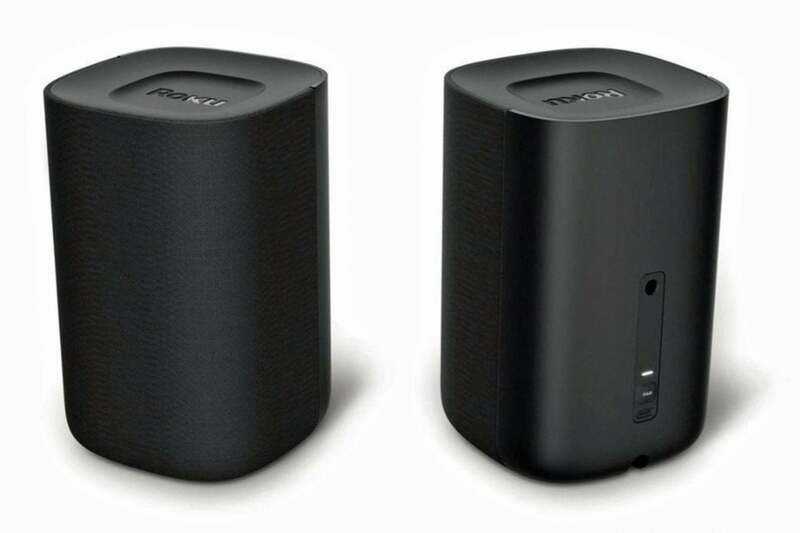 Klarke wasn’t able to provide much in the way of detail about Roku’s new speakers beyond what we’ve already reported: We don't know, for instance, what materials Roku will use to make the speakers or how powerful the amplifier is. But Klarke did describe an automatic volume-leveling feature that will keep commercial breaks from blasting viewers and a dialog-enhancement feature that promises to make quieter conversations on the screen easier to hear. The decision to build discrete left/right speaker cabinets, Klarke said, was intended to deliver superior stereo separation and a more immersive soundstage. Klarke said the speakers will let buyers stream music from their smartphones or tablets through Bluetooth, but the principal application will be the reproduction of TV and movie soundtracks. The new Roku speakers will come with this new tabletop remote for controlling Roku TVs. 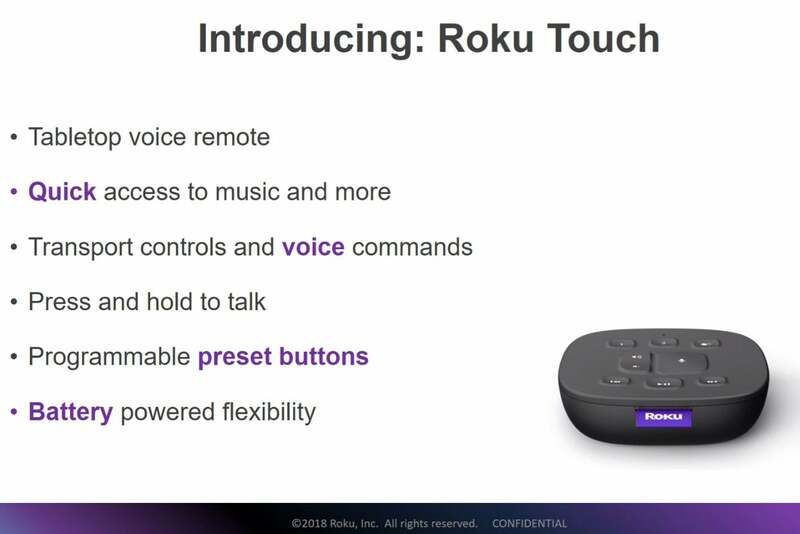 Each set of speakers will come with two remotes: A Roku TV Voice Remote that will be an upgrade for the Roku remote that’s bundled with some Roku TVs, and an all-new Roku Touch tabletop voice remote. With the latter, users won't have to pick up the remote. Instead, they'll be able to press down on the buttons to adjust the volume, manage transport controls (fast-forward, rewind, etc. ), and initiate voice commands while the Touch sits on a coffee table or end table. Programmable preset buttons will provide quick access to music and other entertainment services. Roku’s new wireless speakers will cost $199.99 when they ship in late October, but the company is accepting preorders at discounted prices now. Orders placed through July 23 will cost $149.99, while orders placed between July 24 and October 14 will cost $179.99.